-The max penetration distance has been increased to 7.5 feet. o Extended fade distance on mid-barrels to prevent double door snipers from seeing through them. Thanks, VeryGames. o Added exponential function to the “near” / “distant” crossfade operators. o “distant” weapon fire mix group has been increased significantly to offset the reduction in decibel levels. -Added “pow” function to math operator to facilitate non-linear crossfades in operator stacks. o This prevents players from changing their settings during a non-cheat enabled game but allows them to tweak them during a cheat enabled game. -Small edit to the ak47_shoot, rate at beginning of wave lengthened and pitch slightly lowered in this area as well. o Now accommodates 24 players. o Scoreboard no longer hides all other UI elements. o Fixed Z order for a variety of panels which now allows the chat to draw on top of the scoreboard. o MVP stars are now broken out in the scoreboard. o Added dollar signs to the scoreboard elements that are represented in dollars. o Fixed other players showing your local clan tag on their target id name. o The server name now shows in the scoreboard. o Showing Elo brackets in scoreboard for casual mode. o Added Cost per Kill column to the scoreboard. – Added Community Quick-Play button to PLAY sub menu. – Made HUD team color adjustments to make them more uniform. – Created an additional function to set team colors for “additive” drawing because different HUD elements used the same color values, but rendered them differently. – Fixed the chat panel to more-or-less match the position of the voice/info panel. – Added a content warning message before displaying Server Browser. o Made the in-game chat window smaller. o Fixed the scroll bar on the ingame chat. o Chat input UI now makes a sound when too many characters have been typed. o Updated the max number of characters to be1024. o Allow numpad ENTER key to close the chat window. -Added keybindings to ‘Autobuy’ and ‘Rebuy Previou’s. -Shortened binding label “ESCAPE” to “ESC”. -Added keybinding to buy menu’s ‘CLOSE’. -Added the ‘Dust Mission’ to the match set up carousel. -The mini scoreboard now supports up to 24 players. -The mini scoreboard now uses the server’s num players instead of being hard coded. -Modified scrollable player/map list in “Call Vote” panel. -Modified scrollbar buttons to be more like standard buttons. o Screen can now show up to 24 players. o Added names to the avatars on the team select screen. -Fixed the radio panel to position correctly under the money panel again, but will never overlap the health panel regardless of screen res or safezone settings. -Removing this convar [ CSGO – sv_allow_lobby_connect_only ] for CSGO build, since we would like lobbies to always be associated with servers for community matchmaking. -Removed setting of maxplayers before every session. -The game now forces extra spectator slots to 2. -Better logging info when a file fails the sv_pure check. -Added support for the chat to use the same rules for chat visibility as is used for voice audibility. -Disabled mode-based restrictions on showing Elo rank in scoreboard. -Fix for vote UI having incorrect maps listed if the server runs custom map groups. -Fixed some HUD elements not getting scaled properly. o Hooked up Steam page button. o Made mouse click get correct IDs for Invite and Join states. o Made Join states show correctly. o Removed team play option. o Fixed the toggle for Private / Public option. o Fix for the Kick player function. o Kick now shows the correct ‘kicked’ text string. -Fixed an issue where tracers were coming from the wrong spot when spectating. -Now return correct number of max human players for server browser and master servers. -Added a convar:mm_session_search_distance which allows us to bump session search distance to be able to find lobbies on Steam Beta (set to >=1). -Fixed the search to not use -1 for numSlots, to not use a filter on numSlots and to not use bypasslobby, but rather use game state filter. -Fixed dedicated server reporting numSlots no greater than 16 even when running PC casual with 20 slots, will still need to do client-side work to not stomp that value. -Fixed a bug where Korean characters could not be typed in chat. o When transitioning from PWF lobby to an official dedicated server we increase members limit to 20. – Session created based on information from direct connect to community server will now preserve number of slots defined by the community server. -Fixed a memory leak for searches that produce no results from play with friends. Message information about no results available only shows for community quick play, otherwise a new game is created without notifying user about it. – Fixed number of slots not getting correctly set when auto creating a new game from an official matchmaking search that didn’t return any results. -PWF happens only on official or listen servers. Play with friends now finds a dedicated server for public game correctly. -Added a callback into server.dll that can send client messages before engine advances sign on state to connected state. This lets server to pass data to client before client starts loading map and precaching models. 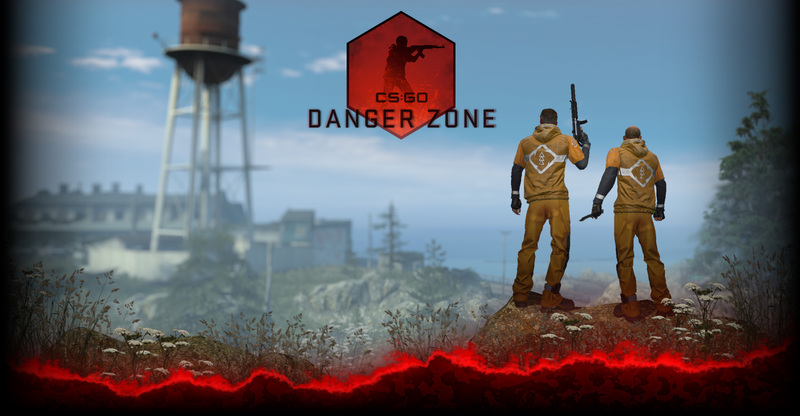 -CSGO will send information about viewmodels and player models, max players and maplist down to clients since clients do not necessarily have info about mapgroup and map played by the server. -Community quick play search will no longer attempt to create a new lobby if it fails to find an existing lobby to join.